Hybrid Camera Revolution: NEW Sony A3000 - Entry-level DSLR killer? Okay, okay. Everyone is tired of this question - what's going to kill the DSLR? So far, consumers have ignored just about every alternative to heavy mirror boxes, mirror shake, a limited number of mechanical shutter actuations and viewfinders that are blocked by the mirror when shooting video. Mirrorless cameras solve all of these problems - but despite the mirrorless "revolution", DSLR sales continue to rumble along, and relatively large and heavy reflex mirrored cameras beat mirrorless cams month after month on the sales charts - especially in the US market. Americans seem to want their cameras big - like their houses and cars. Nikon has admitted to dismal sales of the Nikon 1 - the Canon EOS M had to be marked down to $349 from its ridiculous $649 initial price to gain any traction - and you can't find an Olympus or Panasonic camera on the Amazon US DSLR Best Sellers' list anywhere in the top 20. As of today, the Panasonic GH3 is the top mirrorless camera on the list, probably because it is on sale for $998 (perhaps to compete with the $995 Pocket Cinema Camera). David Taylor-Hughes over at soundimageplus says the mistake the mirrorless manufacturers made was to make their cameras too small (as an appeal to the youth market) - leaving the traditional DSLR design (and people who actually buy cameras) behind. His principal criticism, though, is that these little cameras were too expensive - that consumers who make up the bulk of the market walked into shops and saw traditional DSLRs with higher resolution sitting next to a small, and often funny colored, camera with a 16 megapixel count and a higher price tag - and made the rational decision. I have to agree. Poor first-generation EVFs; slow first generation autofocus; small, low resolution sensors and nontraditional design - all of these have been challenges for mirrorless cameras - but their Achilles heel has been that they are so darned expensive. Why does a $796.95 Nikon 1 V2 body cost $100 more than a D5200 body, for example? And Nikon is surprised that Nikon 1 sales are tanking? I completely understand recouping R&D costs - but companies that don't sell cameras don't recoup their costs, and don't stay in business very long. Which brings us to the new Sony A3000. Four and a half years after the groundbreaking Panasonic G1, this is the first DSLM that looks like a DSLR, has the same sized sensor as a crop sensor DSLR, breaks the 20 megapixels resolution barrier - and actually costs less than an entry level Nikon D3200 or Canon T3i. The Samsung NX20 came close - but, following in the footsteps of other low-sales mirrorless manufacturers, Samsung overpriced it. All of that said, the A3000 looks like a camera, not a candybar with a lens on it. To my eyes, the somewhat more capable NEX-5T looks like a toy next to the A3000 in the video. It has a DSLR-sized sensor, it's over 20 megapixels of resolution - and, most of all, it is affordably priced. Consumers seem to have responded. 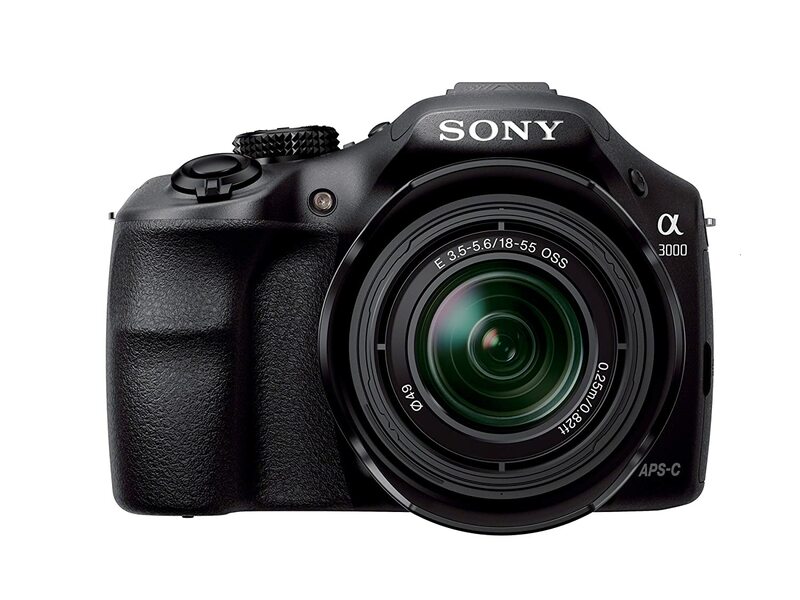 As of today, preorders for the A3000 make it the best selling Sony on Amazon's DSLR list. We'll see if this is a flash in the pan - or a harbinger of things to come. In my view, this camera will appeal to a lot of people who want a lightweight travel viewfinder camera that actually looks like a camera, has a big camera sensor with big camera resolution - and doesn't break the bank. If Sony can actually get this camera into the retail channel, they will sell a lot of them this Christmas.